Do you know how much your company is currently paying for carrier services? Do you know what services you are paying for? Is someone reviewing your bill before it is paid? Far too many companies simply receive a bill in the mail and pay their carrier without taking the time to audit those invoices to ensure they aren't overpaying. With a little bit of oversight and a few simple steps, your company can control the cost of carrier services and ensure that money isn't being wasted. Does someone in your organization review the line item charges on your bill, or, like most companies, do you simply submit a monthly payment for services – no questions asked? In order to figure out if your company is overpaying for its carrier services, you can start by looking at current and past bills to figure out exactly what you are being charged for each month. Identify the common charges that appear on bills with regularity, and determine the cost of each service you are using. Once you've conducted a thorough comparison of current and past bills for your carrier services, take a look at services you are paying for; which of those are actually being used? In our experience, most carrier service invoices contain services that companies aren't even using. By identifying those unused services and eliminating them from your monthly contract, you could potentially save a lot of money. Another benefit you'll find from conducting an audit of the bills from your carrier service is the identification of bill errors and overages. Again, the numbers don't lie when it comes to the widespread impact of factors such as billing errors and overage charges. 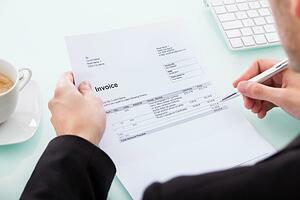 An estimated 80% of carrier service invoices have billing errors, which can quickly add up. Fluctuating charges for base services on a month-to-month basis: Unless you've requested altered service, your basic charge for phone and/or data access shouldn't change. Charges for disconnected services: A reputable carrier won't charge you for disconnecting services you've identified as unused or unnecessary on your service plan, but sometimes bill adjustments like this can be forgotten. Missing special offers: If you signed up for service using a special offer, check that it has been applied. Sometimes these can be missed. Early charges: You should not receive bills or be charged for service dates prior to the agreed upon start date in the terms of service/contract. a) I don’t have the time/resources to do this thorough review. b) Even if I did have the time, I don’t have the knowledge and expertise to understand what’s listed on this bill. It can be difficult, especially for organizations outside the telecom and technology industry, to figure out what you are paying for – not to mention what services you need and which you can live without – as you review the bill for your carrier services. A consultative review of your carrier services, such as those offered by Marco, can help guide you through the process of analyzing your expenses and determining if you've been overpaying. A thorough review of your invoices helps to collect the information required to conduct a needs assessment and cost analysis of your current services, and determine how those services can be optimized in the future. With the right carrier consultant on your side, you can easily determine the services your company requires, and develop a plan that provides for those needs while eliminating wasteful spending on excess services. Most importantly, you will save time, hassle and stress. The average company will read carrier services bills line for line. Your carrier isn't necessarily looking out for your best interests and needs; by teaming with a trusted carrier consultant (someone who is solely concerned about your needs) you can begin to catch and correct errors in billing and ensure you have the right services.